Precision measurement has been the exclusive focus of our business for 150 years. Our ability to fulfill the professional market’s exacting standards for accuracy, durability, and design is built on a legacy of technical expertise, quality materials and a constant awareness of changing industry needs. The diversity of our product line reflects an ongoing commitment to provide the best solutions to the food service and professional community at every level…with ever-expanding choices in specialized temperature and weight measurement instruments that promote food safety, enhanced productivity and user convenience..
We’re the Food Service and professional industry’s most complete source for both thermometers and scales. 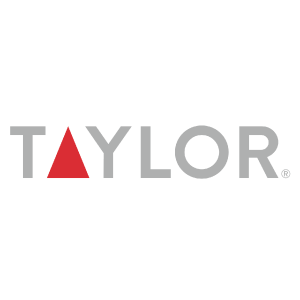 So to simplify your purchasing process, plus improve your choices, quality and value…take advantage of The Taylor Advantage. We’ve got everything you need.